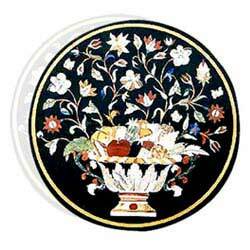 Words fail to describe the subtle beauty of this round table top, which has been so craftily decorated with inlaid flower vase design on Cudappa Black stone. 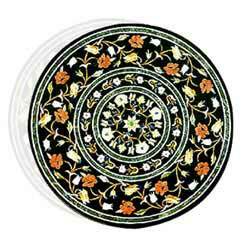 This splendid round table top has been gifted with an awesome flower vase design intricately inlaid on a Cudappa Black stone further beautified with contrasting colors. 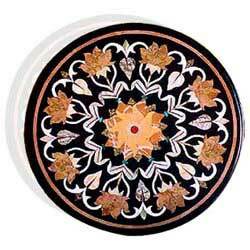 A very beautiful floral design with eight lotus decoratively inlaid on a Cudappa Black stone in eye-catching colors is a must have inlay circular table top for it's proud owner. 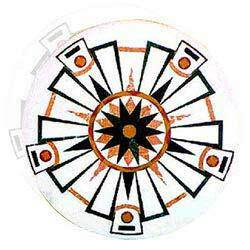 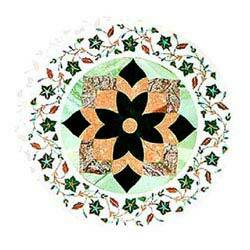 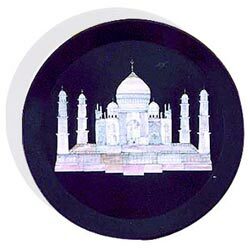 We present to you a very ingenious geometrical design manifested as a floral pattern flamboyantly inlaid on a White Marble as a circular table top with an outstanding appearance. 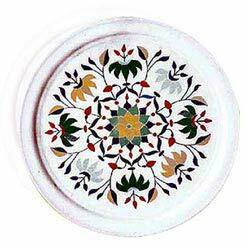 This circular table top with an embossed border appearance and a blooming floral design has been inlaid on White Marble in bright colors to give that superfluous touch of inspiration. 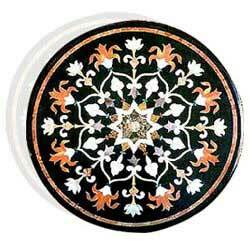 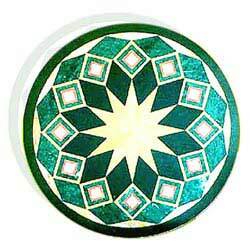 Categorized with three different floral designs in complementary colors, this encircled round table top inlaid on a Cudappa Black stone will add a rich flavor to your home decor.